On 13 June 1842, Queen Victoria made the journey from Slough to Paddington and became the first British monarch to travel by train. The train that day was driven by Daniel Gooch and assisted by Isambard Kingdom Brunel. 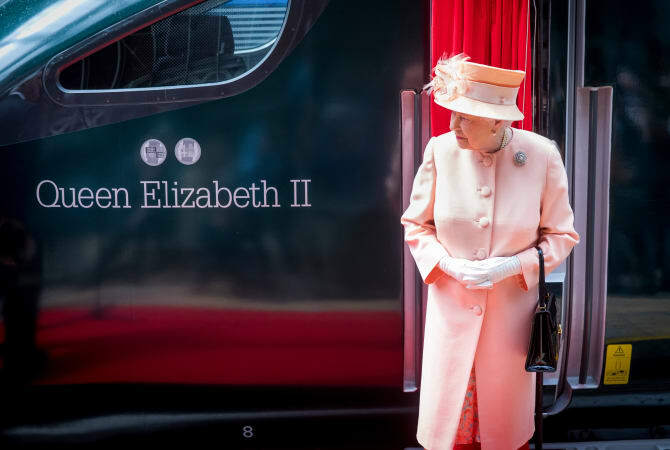 To mark this unique occasion GWR recreated the journey between the two stations using its new Hitachi-built Intercity Express Train, in the presence of HM The Queen and the Duke of Edinburgh. The Royal party were joined on the train by Isambard Thomas and Gillian White, the direct descendants of Isambard Kingdom Brunel and Sir Daniel Gooch. 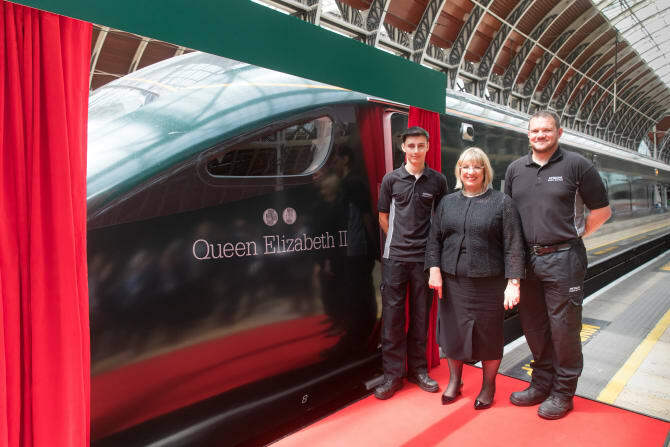 Following the naming ceremony, The Queen was presented with a pair of specially designed coins Tim O’Toole, Chief Executive of GWR’s owner’s FirstGroup presented The Queen with a pair of specially designed coins which will become a feature of GWR’s new trains. Great Western Railway’s Intercity Express Train marks the start of the biggest fleet upgrade in a generation on GWR’s network and is the first major intercity fleet to be introduced on the UK rail network from some 20 years. It is due to enter passenger service first on the Great Western Railway in the autumn this year, and will enable longer trains with more seats, faster and more frequent train services. The trains are being built by the 900-strong workforce at Hitachi its North East factory in Newton Aycliffe, as part of the Government’s £5.7bn Intercity Express Programme. Her Majesty was greeted at Slough Station by school children from four local schools who had produced their own drawings to mark the occasion. There were more than 100 children, aged between five and 11, from Slough’s St Mary’s Primary. IRQA Slough Islamic School, James Elliman Academy, Marish Primary School. “It is an honour to have welcomed The Queen and the Duke of Edinburgh to Paddington station 175 years after the first royal arrival into the iconic London station by train. HM Queen Elizabeth 11 alongside the train.